So What Will CBD Do To Help Your Husky? Will CBD Help Your Husky To Deal With Cancer? How Has CBD Helped Other Huskies? It doesn’t matter the age of your own Siberian Husky they’re always full of energy. I bet they love going walks and are really friendly. When they want to be they quite mischievous, how many times have they wander off while out on a walk. Despite their little flaws, I’m sure they found their way into your heart with ease. So you’re probably concerned about their health. I’m guessing that’s how you’re familiar with CBD. More importantly all the positive surrounding it. 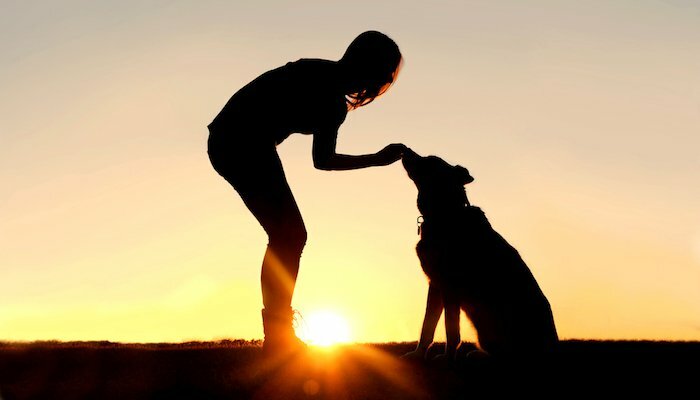 CBD can really help your dog with health conditions. In this article, shall give a rundown of CBD. Focusing on how it can be used to assist your Huskies health. The forceful Siberian Husky was originally an impressive working dog. First adopted by the Russians during the 18th century. It wasn’t until the American gold Rush that Huskies were eventually exported to Alaska. In which they were used primarily as sled dogs. 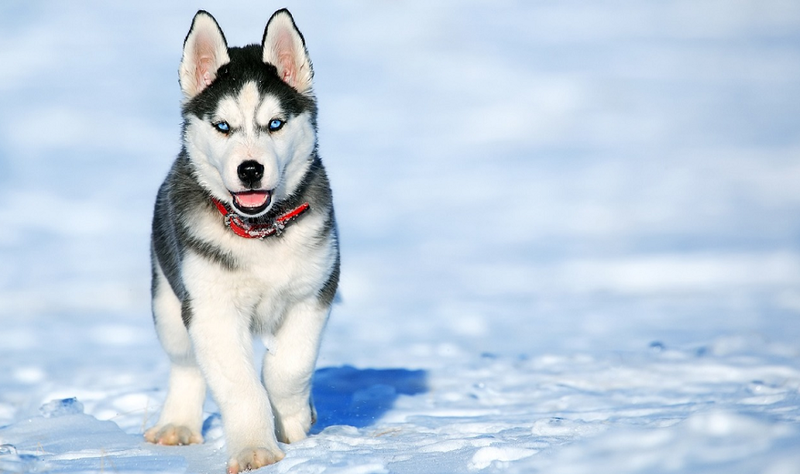 The Siberian Husky was initially bred to work in the cold, difficult conditions. They were actually great at this because of the natural intelligent and muscular structure. In fact, Huskies are currently being used as working dogs in many places around the world. As you know all too well they make the perfect family dog. They are definitely visually striking dogs, with their unique attributes. Huskies really do need plenty of training and exercise to keep them under control. Huskies are actually known to have great health and aren’t particularly susceptible to diseases. Allergies will make your Husky to have irritations which makes them itch, they probably are constantly scratching. If so your Husky could be dealing with a skin irritation or an infection. Cancer can affect any dog. 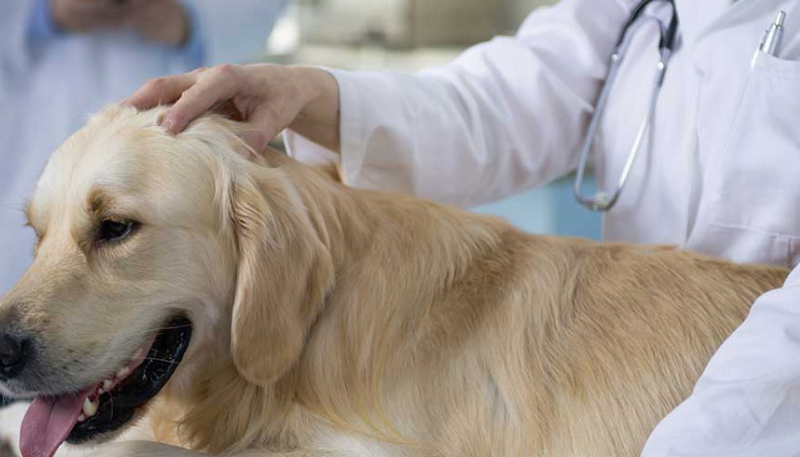 Some common forms of cancer that affect dogs includes lymphoma and lipomas. Skin Conditions results in Huskies having a skin condition. It’s fairly common to deal with, it has been linked to a lack of zinc. Another is Lupus which can cause joint pain and fatigue. Huskies can suffer from a range of eye-related conditions. This includes cataracts and corneal dystrophy. Both if untreated can cause blindness. 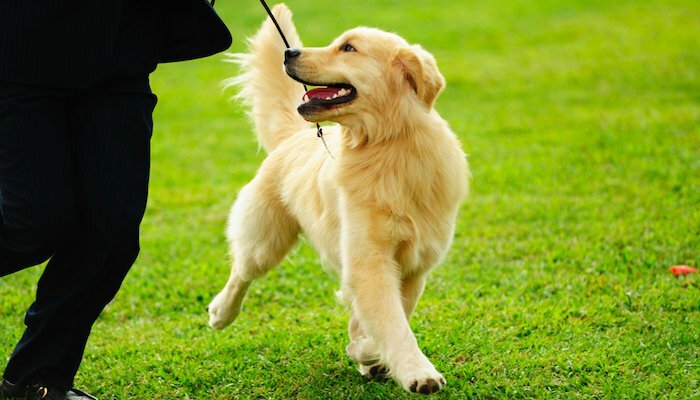 Dysplasias of the hips and elbows are very common orthopedic issues for every kind of dog. Huskies, fortunately, tend to be less affected by these conditions, when compared to other breeds. That said it’s not uncommon for Huskies to suffer from dysplasia. Hyperthyroidism is the result of an overactive thyroid. Which the metabolic processes quickens. This is a rare condition, that only affects some Huskies it’s important to catch the warning signs early to reduce the risk of thyroid cancer. Vogt-Koyanagi-Harada disease is extremely rare. Is an autoimmune disease which causes the immune system to attack healthy melanocytes. Which in turn makes inflammation around the eyes, as well as changing the pigmentation of the skin. So let me guess you’re trying to find ways to help make sure that your Siberian Husky stays healthy? Any chance that you’ve heard of CBD. Cannabidiol (CBD) is a natural and safe means of helping to deal with different health issues. It’s regularly used by both humans and animals. 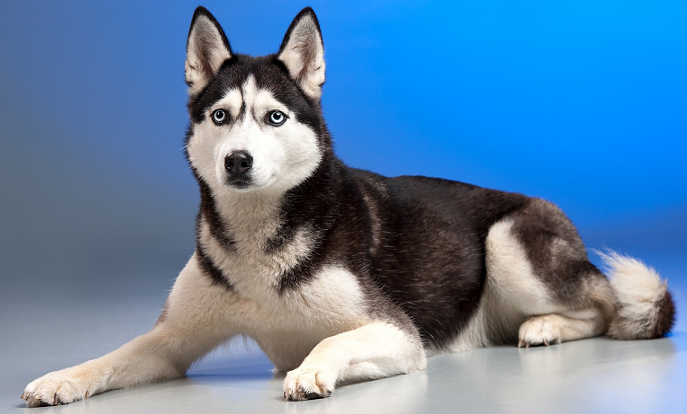 In this section of the article, I will show how CBD could help to treat your Huskies problems. Whether they be cancer or dermatitis as these conditions are especially affecting Huskies. CBD is completely safe to give to your Husky as its non-psychoactive. Meaning that your dog isn’t going to get high. If your Husky is currently doesn’t suffer from any cancer or skin condition, then CBD could still be incredibly beneficial to them. As there are several other benefits of CBD. If you would like to read more on the subject, may I recommend that you check out my other article? 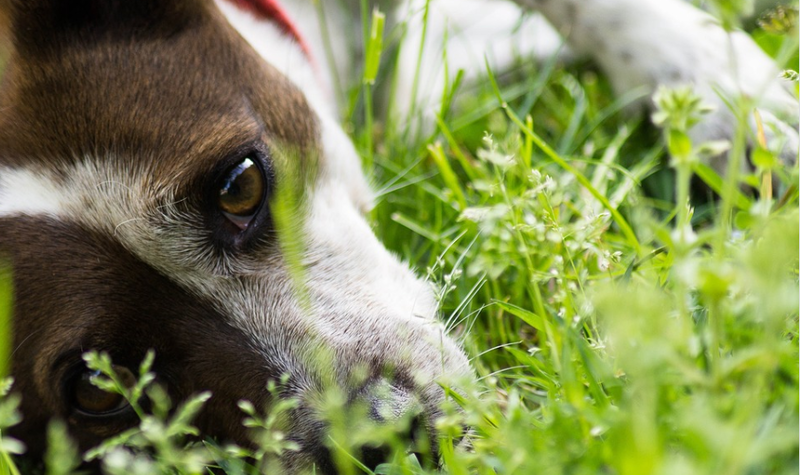 It’s all about the seven most common benefits of CBD for dogs. Not too long ago my dog Rosie got very sick. As soon as the vet told me that our Golden Retriever had cancer, I couldn’t believe it I was deeply hurt. Once the vet told us that we had no means of stopping the spread. I decided to make Rosie’s last few moments as best for her as I could. Immediately I started to research all of the treatments available. Sure enough, it wasn’t that long, until I stumbled across CBD. I was in a similar situation to you, as I was very hesitant at first about giving my dog any form of cannabis. It was only after researching CBD, that I got more convinced about its potential. Especially since there already lots of evidence, linking cannabis to its ability to soothe the symptoms of cancer. CBD is an antiemetic, meaning it rapidly relieves nausea and vomiting. As both of these are common effects caused by chemotherapy. Amazingly CBD is actually a natural painkiller, so it helps to relieve the pain caused by cancer. It was after reading about so many positive stories from other pet owners, that I finally felt comfortable giving CBD to Rosie. After using an array of CBD products namely oils and capsules did we begin to noticed Rosie’s health was improving greatly. When her condition began to advance, was when she really began to suffer the most. Right away we were aware of her change, Rosie became very lethargic. Giving her CBD really did change her condition for the better. Before our very eyes Rosie was becoming more like her normal self, almost straight since we started her CBD treatment. We simply used a few small doses of CBD a couple times throughout the day. It wasn’t long until Rosie started to become more energetic, and seemed so much happier. We could easily see that she was experiencing much less pain. While Rosie was on CBD her appetite returned alongside her regular level of activity. Which was great as it helped her stay at her healthy weight. During my research, I found out that CBD could even help fight the spread of cancer. A word of warning, bear in mind that all of the findings were based on preliminary trials. I’m not saying that CBD a cancer cure. Regardless of the fact the results from using CBD are incredibly promising. So when tumors reach a certain size, they start to create their own blood vessels. As a way of directing the correct amount of blood to a tumor. In some findings show that CBD may make cancer cells more vulnerable towards chemotherapy drugs. Even accelerate the cell death faster in a growing tumor. Again you have to remember that these are all preliminary findings. So much more research is needed before jumping to any conclusions. Although let’s remain hopeful that CBD is really an anticancer treatment. 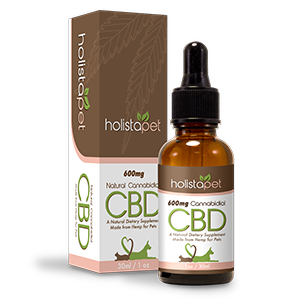 If you are after additional information on CBD and how it can benefit your dog when dealing with cancer. Please do check out my other articles or my post on CBD for dogs with tumors. Dermatitis is actually an incredibly common skin condition affecting all dogs breeds. It normally causes rashes, which results in excessive itching. Which then makes your Huskies skin only worse off. Other symptoms include skin inflammation and watery eyes. Probably the largest type of dermatitis that affects dogs is called atopic dermatitis. It normally can strike when your Husky comes into contact with any grass or mold spores. It all comes down to their own environmental allergens. I have to recommend that you use CBD If your Husky currently suffers from any of these issues. As the CBD will help to control the spread of the Imitation. This is because CBD is a natural anti-inflammatory so it will help to get rid of the irritation. After researching CBD, for my self I found out that the system does, in fact, mediates its effects. As it controls a lot of important stuff within your dog’s body. For example inflammation. Which is why it’s so important to use CBD as it’s such a powerful anti-inflammatory. Did you know it’s becoming a very popular means of natural treatment for many kinds of inflammatory diseases? This includes allergies, osteoarthritis and Inflammatory Bowel Disease. The most popular way of administering CBD is oral this is done by using a small dropper. However, the ideal way to use CBD on skin-related condition, for example, dermatitis. Should be done by using a topical solution for the best results. I would have to recommend that you use the King Kanine, as they offer two grate CBD topicals which are really fairly priced. Some other brands I would advise you to check out are Kingm Balm, it’s enriched with natural beeswax, coconut oil and Manuka honey. Not only smells great but is a great price as well. Another one to look out for is King Kalm Soothe, which is a topical spray that includes chamomile, aloe vera, tea tree oil. I’m sure your husky would love it. Both are great at fighting an inflammation caused by dermatitis or alternative skin condition. When you apply the CBD right into the affected area of the dog’s skin, you will be able to help relieve the symptoms such as itching. The product will help your Husky forget about the urge to scratch at the area, reducing the affected area. As the CBD will work right away on the inflammation, so you will notice straight away a reduction in the swelling. Your Husky will be right as rain in no time. If you need more information on CBD and how can be used to help fight skin conditions. I have only just posted a very insightful article, which goes into a lot of detail so you should have all your questions answered after reading it. My personal story about Rosie is far from the only CBD success story, there are many other pet owners out there who have had similar experiences to mine. Since CBD is becoming increasingly popular in recent years. There have been many cases in which several dog breeds have had good results as a result of CBD. My first example is Mya, who is an older Siberian Husky from Tennessee. She has recently been diagnosed with cancer and to aid the recovery process Mya’s owners put her on a CBD treatment. Since starting the owner have seen a real improvement. They hope that by using CBD it will increase her chances not relapsing following the surgery. The next example is that of Kijik who is a 12-year-old Husky. After many years of being active daily. Kijik is now suffering from chronic inflammation and pain due to arthritis. Her owners have been able to get her off the regular medication fairly quickly. As soon as they did they began to notice huge improvements in her overall condition only after a short time of using CBD as the main treatment. Right now she is dealing with a lot less pain. Kijik’s owners have stated that she’s become way more active. 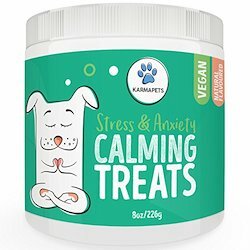 Both Mya and Kijik are now using products from Canna-Pet CBD. If you would like more information about all of their products, then please visit their website. Now If you Huskey does suffer from anything mentioned in this article, I really believe that CBD could be the answer you’re looking for. I know it may seem daunting at first due to the number of products available. It’s important to do your own research before buying any products. As a starting point why not look at the products mentioned in this article. As I do think that some products are significantly better. Are you currently after a specific brand? If so my top pick currently is the King Kanine. As I’ve personally used their King Kalm CBD 300mg RX and got amazing results while using it. For anyone that wants to give CBD oil a try, I implore you to visit their website. So you can get a better understanding of the several types of products available. When you’re there have a look out for the product listing. 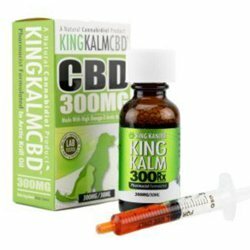 You may save up to 23% only on the King Kalm CBD oil. I wish you luck on your journey of CBD and I really hope your husky start to feel better soon.